ROCKVILLE, Md., Jan. 29, 2019 /PRNewswire/ — The Ascend Hotel Collection, the world’s first and largest soft brand from Choice Hotels International, Inc. (NYSE: CHH), closed out 2018 by awarding the most franchise agreements in the brand’s history. Seventy-three total franchise agreements, 43 domestic and 30 international, were awarded, fueling the brand’s continued expansion in key markets across the globe, including Brooklyn, N.Y., Los Angeles, New Orleans, San Antonio, and Savannah, Ga., and destinations in Canada, the Caribbean, Europe, and Latin America. 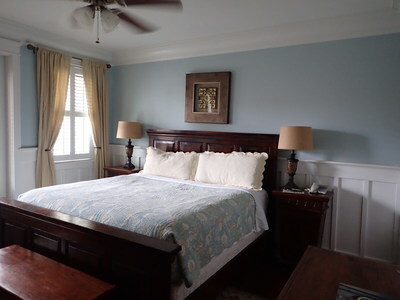 The Inn at I’ON (Mount Pleasant, S.C.) – Situated in the quaint, tree-lined Mount Pleasant community just outside of Charleston, S.C., the Inn at I’ON combines modern amenities with timeless southern charm to deliver an unforgettable guest experience. Industry City Hotel (Brooklyn, N.Y.) – Located in a formerly industrial neighborhood of South Brooklyn, the Industry City Hotel infuses colorful designs and modern Chinese décor throughout each touchpoint to bring its vibrant surroundings to life. Sunset Hotel (Brooklyn, N.Y.) – Situated in the Sunset Park West neighborhood near the Brooklyn waterfront, the NBA’s Brooklyn Nets training facility, and more, the Sunset Hotel couples great location with great service. “Guests are increasingly seeking travel experiences that are reflective of their destination and with a robust portfolio of unique, boutique and historic upscale hotels, Ascend delivers on these expectations. Our ongoing expansion creates new opportunities for these travelers – and our franchisees – and we look forward to even more growth in key destinations in the coming year,” said Janis Cannon, senior vice president, upscale brands, Choice Hotels. The Ascend Hotel Collection® global portfolio of unique, boutique, and historic independent hotels and resorts is part of Choice Hotels International, one of the world’s largest leading hotel companies. Recognized as the hotel industry’s first “soft brand” concept, the Ascend Hotel Collection has more than 200 properties open and operating worldwide, including in France, the United Kingdom, Denmark, Finland, Ireland, Norway, Sweden, Turkey, Australia, Canada, Ecuador, and the Caribbean region. Membership with the Ascend Hotel Collection enables distinctive, independent properties to gain a global presence while maintaining their local charm. For more information, visit www.choicehotels.com/Ascend.